When shopping at the commissary, grocery coupons can mean all the difference in the world for getting everything you need while staying within your budget. At MyMilitarySavings.com, we’ve made it our mission to ensure that military shoppers like you are able to quickly and easily find hundreds of coupons and other discounts for the commissary without having to waste time scouring the internet for deals. All it takes is a free membership with our site to view all of the bargains, savings, coupons, and sales information that we have to offer, and you’ll be joining a growing family of more than 70,000 military shoppers worldwide. Also, don’t forget to visit the My Home Base page and set your location to the base you’re currently stationed at for a more personalized savings experience. There, you’ll find an interactive map, helpful information about your local commissary and exchange stores, including hours of operation, addresses, and phone numbers, and up-to-date information on local deals. Also, don’t forget to check the monthly My Home Base Grocery Circular and Special Edition Circular for interactive ads with commissary grocery coupons and other savings on your favorite items. 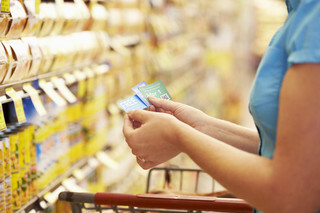 If you’re ready to start saving with commissary grocery coupons and other discount opportunities, sign up for your free account today at MyMilitarySavings.com.